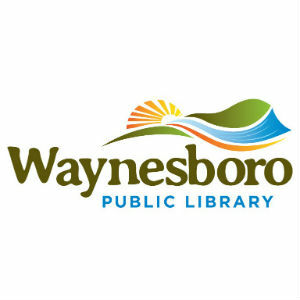 Events calendar for the Waynesboro Public Library for August 2018. A rare performance in Virginia by this New York City trio voted “Best New Jazz Group” in Hot House Magazine. Billed as “synergistic jazz” by NPR, saxophonist Daniel Bennett has been hailed as one of the most original and unpredictable musical voices of his generation. Learn how to use Microsoft Excel’s cells, worksheets, and workbooks easily to manipulate, calculate, and format numbers and other types of data. Advanced registration required. This special exhibit from the Library of Virginia recognizes and celebrates eight women—past and present—for their accomplishments in all walks of life. This year’s exhibit includes poet Rita Dove and educator Isabella Gibbons, both from Charlottesville. A documentary film about Marii Hasegawa who is honored in the Virginia Women in History exhibit. Hasegawa emigrated from Japan to California in 1919 and graduated from the University of California at Berkeley, only to be incarcerated in American concentration camps after the Japanese bombing of Pearl Harbor. After WWII, Hasegawa moved to Virginia and quietly began working for peace and human rights over the course of sixty years. Add to your basic skills with Microsoft Excel, including using tools such as autocomplete, formulas, comments, titles, charts and graphs. A basic knowledge of Excel is needed. Advanced registration required. Movie night at the Library. Friday, August 10, at 6:30 p.m.
Friday, August 31, at 6:30 p.m.
See new releases on the big screen. Free popcorn and drinks are provided. Monthly- Second Thursdays at 4 p.m., Book Club. Read a novel, then meet with others to discuss. Ask at the circulation desk to check out a copy of the book-of-the-month. Monthly- Fourth Tuesdays at 7 p.m., Nonfiction Book Club. Our new nonfiction book club will read and discuss nonfiction books. Ask for your copy at the circulation desk or check out our e-library.